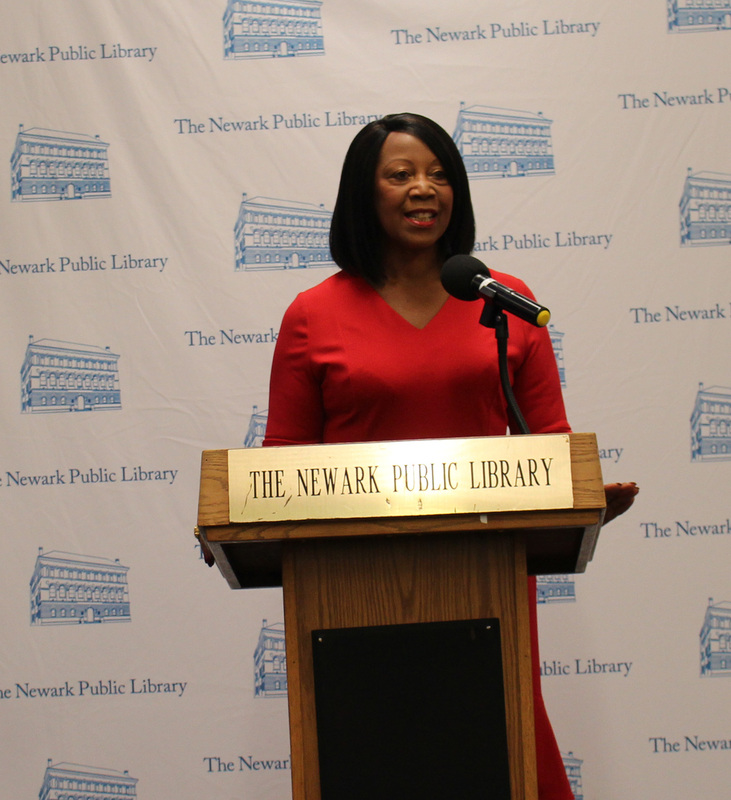 Lieutenant Governor Sheila Y. Oliver made a special visit to the library she loved as a child to cut the ribbon launching a new service at the Newark Public Library for the visually impaired: the Library Equal Access Program (LEAP). 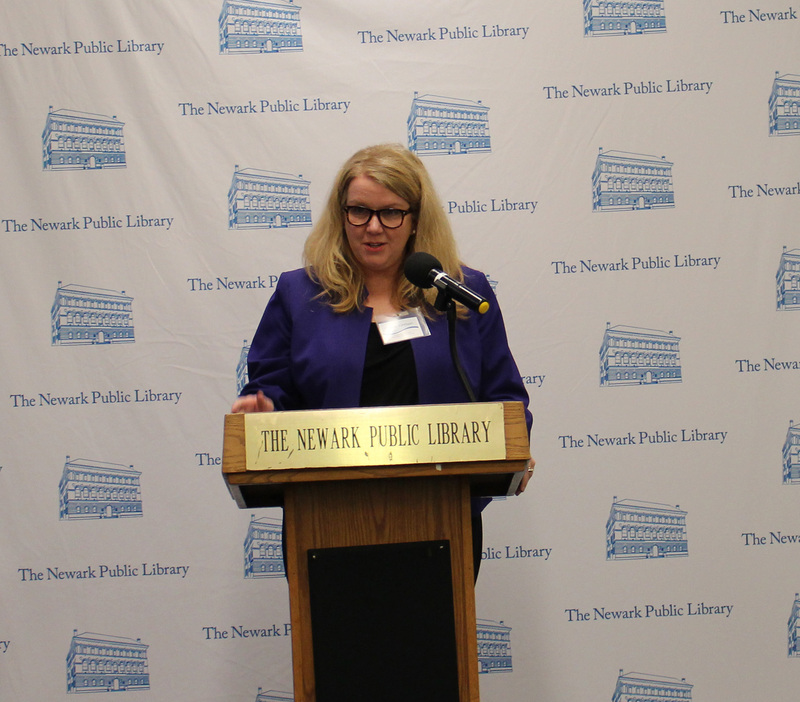 At the Oct. 9 ceremony, she was joined by Carole Johnson, commissioner of the NJ Department of Human Services, Dr. Bernice Davis, acting executive director of the Commission for the Blind and Visually Impaired (CBVI), Mary Chute, NJ State Librarian, and Adam Szczepaniak, deputy state librarian and director of the NJ State Library Talking Book and Braille Center. The celebration ceremony was part of a series of events by CBVI this October as it marks Blindness Awareness Month, which aims to recognize the residents of NJ who are blind and vision impaired, as well as inform the public about good eye health. 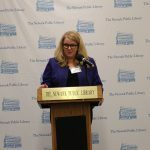 “This is about providing important skills on how to use things like assistive technology, such as magnification and audio reading tools to help visually impaired users with reading websites, emails and other documents, really providing that essential bridge to all of the information resources that many of the rest of us take for granted but that are vital with keeping up with the way the world works today,” said Johnson. The LEAP initiative targets adults 55 years of age and older, and will provide basic computer skills training on how to use assistive software, such as magnification and audio reading tools, to help vision impaired users with reading websites, emails and other documents. Training will also include an introduction to using assistive technology features now available on iPads. LEAP represents a unique partnership between CBVI, the State Library’s Talking Book & Braille Center (TBBC), and Advancing Opportunities. 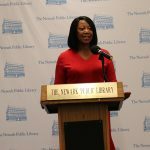 Classes will be offered at the Newark Public Library, where computers and iPads equipped with assistive software have been installed. Training will be delivered by the Assistive Technology Services Department of Advancing Opportunities, a leading provider of disability services in New Jersey. Following the ribbon cutting, Colleen Faupel, supervisor of Assistive Technology at CBVI, gave a demonstration of how the technology works.